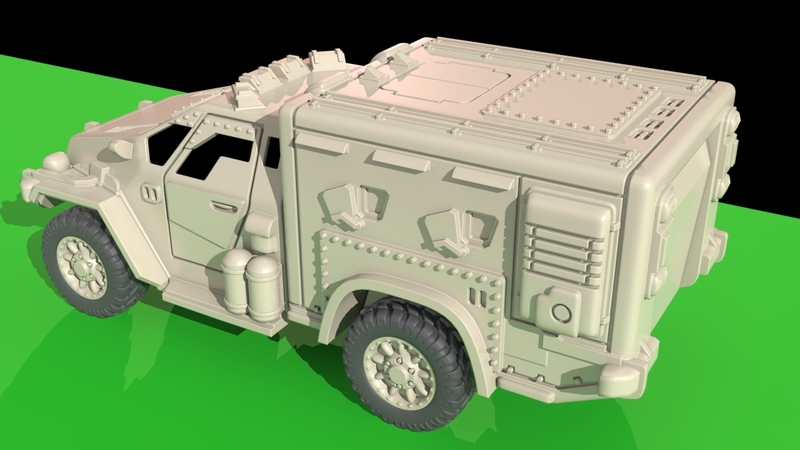 Ubiquitous on the outer-colonies, the Bison 4×4 has served in a myriad of roles from cargo hauling at backwater spaceports to heavy weapon platforms in numerous border conflicts. Designed for long-lasting rugged use, the Bison can run on a variety of fuels and comes standard with an armored passenger compartment to keep out hostile environments. 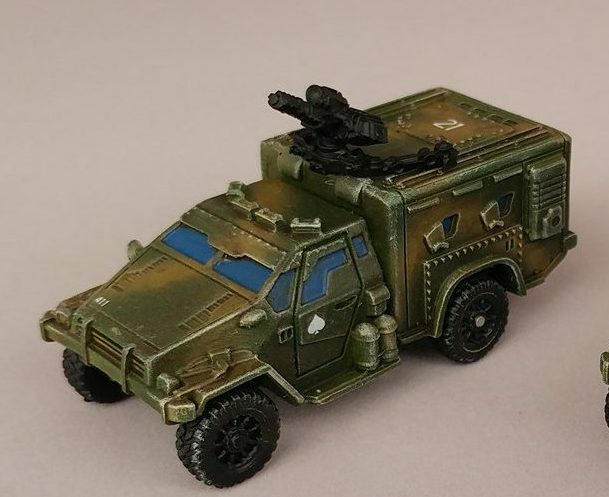 Often seen in hands of corporate security, colonial insurgents (or freedom fighters) and even the occasional Special Ops team, the Bison 4×4 can be easily modified to carry a variety of heavy weapons. 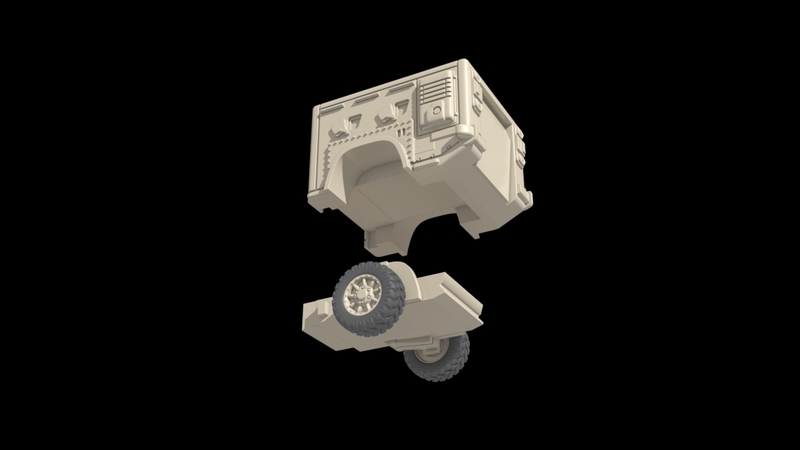 The Bison APC adds an armored compartment and a remote turret that can also be detached from the vehicle and serve as a squad support weapon. 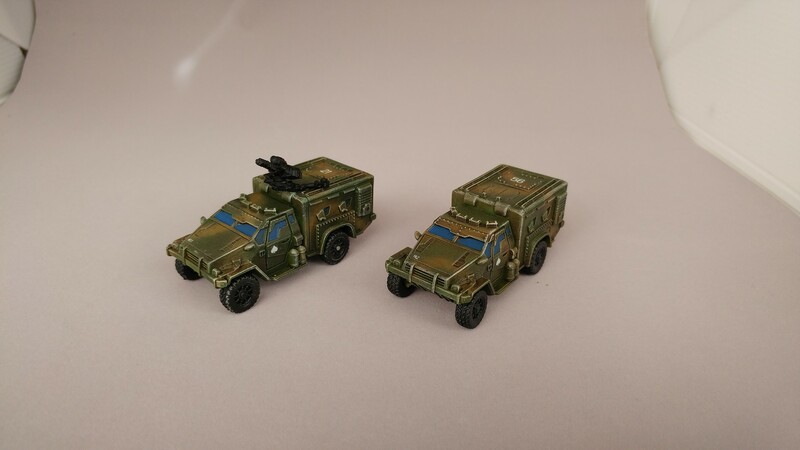 The Bison APC is a 15mm scale metal and resin multi-part model kit.